Ty-Ohni Lodge #95 has issued an event patch for their 2004 Spring Ordeal. 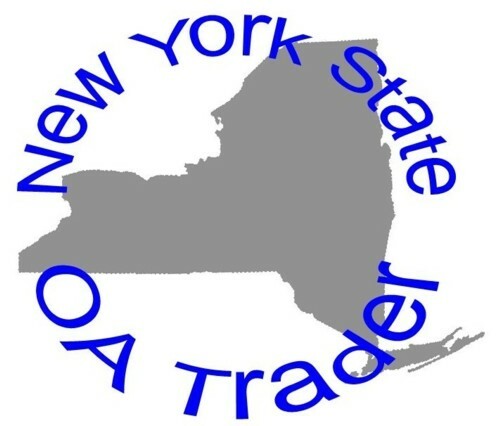 Ho Nan Ne Ho Ont #165 has issued a trader flap for the 2004 NOAC. There will also be a delegate flap. Suanhacky Lodge #49 has issued a 2004 NOAC Fundraiser flaps. Section NE3B will also be issuing a section set. Lodge 159 will issue a Dangle for the 2004 NOAC. Apparently there will be two varieties. One as a trader, and a second with a different border color restricted to delegates. The tentative Blue Bokk stats based on the artists rendition of the trader would be: 159 Ho De No Sau Nee X? YEL R M/C RED RED FDL, WWW PUR "NOAC 2004 Ames Iowa"
Don't have a scan available yet, but my understanding is that Lodge 165 will be issuing 2 flaps for the 2004 NOAC. There will be a trader (likely F3) and a restricted delegate (likely F4) more info to follow as available. I am seeking information on a round event patch that would appear to belong to Lodge 30; the question is which Lodge 30? In 1992 Lodge #30 Winningus merged with Tkaen Dod #186 to form Tkaen Dod #30. Winningus was the OA Lodge for General Sullivan Council and the Home of Camp Brule. As you can see from the image above this patch is dated 1992 Camp Brule and reads Blazing the Trial to Brotherhood. The Conclave was hosted by Lodge 30 Winningus just prior to their merger with 186 Tkaen Dod. The lodge backpatch is a fundraiser issue to support a building project at Camp Wakpominee. Thanks to Bruce Raver for the information on the new Lodge 19 issues. I don't have a scan available yet, but have some information that Ktemaque will be issuing 3 2-piece sets for the 2004 NOAC. Each Set will have the same design (apparently taken from the J3 or J4) with a different border color. IT was reported that only 50 were made, mainly going to the contingent.